You are here: Home / Bulletin / Bulletin / Articles of Interest / The positive benefits that Eurythmy gives to children. The positive benefits that Eurythmy gives to children. The life force or life energy which makes a plant grow is the medium through which Eurythmy functions. Look at a healthy child – rosy cheeks, radiant energy, clear eyes and good muscle tone. Eurythmy fosters and maintains this healthiness. Specific movement sequences are introduced with imagery, which is in itself life-giving – e.g. Rather than being instructed to move in a straight line and then a curve, the teacher might say “let’s walk across a narrow bridge to a sandy island in the middle of a lily pond and then run around the shore on a white pebble path”. Eurythmy strengthens and renews this life force that is so often depleted through our hectic lifestyle. We have been created and born with the help of spiritual forces that stand behind what we call the 12 zodiac signs and the 7 planets. The sound of each consonant and each vowel rings from one of these cosmic forces. Each has created a part of our body or maintains the functioning of an organ. The ‘music of the spheres or the LIVING WORD is reflected in the healthy functioning of the child’s body. The spiritual energy, life force, etheric force or chi behind the physical movement of the arms for each consonant and each vowel maintains and strengthens this connection between the macro cosmos and the micro cosmos (the child). A beautifully spoken poem or verse where these consonants and vowels sound together in harmony, moved with the arms or the whole body, alone or in a group with others in the room on different forms, strengthens and balances the whole being of the child – body, soul and spirit. The spiritual essence that, which the child calls “I”, gives and maintains its uprightness. It takes hold of the baby when it stands upright for the first time. A strong calling of the name of a child who is dreaming away calls on this “I” or self. You often see it become more upright in its posture when called consciously. Rhythmic activities with copper rods strengthen this uprightness or presence of self and improve the posture. The metal copper has a stimulating effect on the blood circulation, which is the physiological carrier of this I AM, force. Rhythm carries life! The name Eurythmy means beautiful rhythm or pleasant flow. All movements in Eurythmy are rhythmic or life-filled. This strengthens the life forces that maintain the health of the body and brings harmony into chaotic forces redness and a deepening concentration (finding the centre or SELF). We can all experience how effective it is doing the same thing at the same time each day. The LIFE BODY, the organism that maintains our physical body, is also the carrier of thought (intelligence). The brain itself is more a reflector than a computer. Through moving in a eurythmic way where every movement is filled with meaning and where the feeling life of the child is also engaged, we foster intelligence through will activity. Better concentration, co-ordination, better posture, better spatial awareness and social relations are the result. Dyslexia has been successfully treated with special eurythmic movements. There is a whole field called Curative Eurythmy that works through life movement directly into the physical body. The Anthroposophical doctor who has knowledge of Eurythmy and its effects on the child prescribes the specific exercises. Listening and speaking: The heard, understood and spoken word is what makes us truly human. 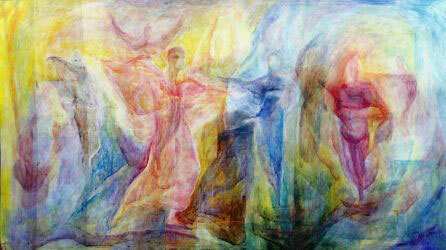 In Eurythmy the child’s etheric or life body listens or speaks – makes the word visible. You can sense corresponding movement in and around the larynx when someone speaks beautifully. This region also cringes or contracts when it vibrates to the horrible screaming of a furniture seller on TV. We love to listen to a well-modulated voice and we dislike stridency. The life body of the child engages the physical body to make the corresponding movements to what it “hears”. The child’s arms move and it becomes as it were a gigantic larynx through which the spiritual world “resounds”. It is important that the content of the poem or the piece of music is beautiful and has a deeper meaning behind it. That engages the child’s feelings as well as its thinking and when children move beautifully – eurythmically – to a well spoken poem they make the flesh become WORD just as so many years ago the WORD became FLESH. Find out about the benefits of Eurythmy yourself. CBRSS now offers Eurythmy for Adults on Wednesday mornings, see the post earlier in this Bulletin for details. 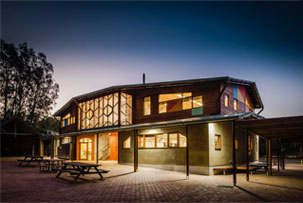 http://capebyronsteiner.nsw.edu.au/wp-content/uploads/2015/12/CBRSSwebheaderlogo.png 0 0 Yvette http://capebyronsteiner.nsw.edu.au/wp-content/uploads/2015/12/CBRSSwebheaderlogo.png Yvette2019-03-25 10:15:132019-03-26 12:59:47The positive benefits that Eurythmy gives to children.